General safety for the traveling public and employees at Ted Stevens Anchorage International Airport is a fundamental responsibility for the Airport Police and Fire Department. 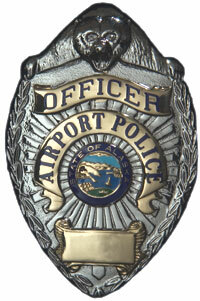 All Airport police officers are certified law enforcement officers in the State of Alaska. The Airport Police and Fire Department takes a special interest in serving the public and maintaining a "customer-oriented" environment. Within the Airport Police and Fire Department, specialized teams are used to further maintain the unique safety needs at Ted Steven Anchorage International Airport. Specialized teams are composed of highly skilled officers that have been chosen based on merit. Teams include Investigations, Explosives Ordnance Disposal, K-9, Drug Interdiction, and Water Rescue.